METI head Yukio Edano and barred Kyushu Electric from restarting two idled reactors at the Genkai nuclear plant. Kyushu has been the subject of an extensive investigation after it was exposed that they had many times manipulated public meetings and orchestrated faked public support. 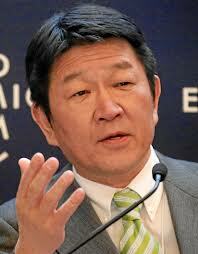 Edano had instructed Kyushu to submit certain reports where Kyushu refused to acknowledge their fraud. The lack of honesty and cooperation from Kyushu caused Edano to put a stop to the restart attempts at Genkai. The Kyushu Electric CEO has refused to step down as would have been expected after he was found at the middle of the fraud scandal.